Once again, we thrilled the holiday party executives and guests at KATU’s annual holiday event with the gourmet food from Voila Catering. 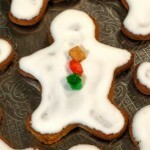 This year an all original holiday menu from Exec. 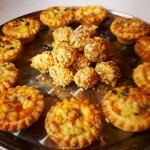 Chef Tamara to keep the guests excited…. 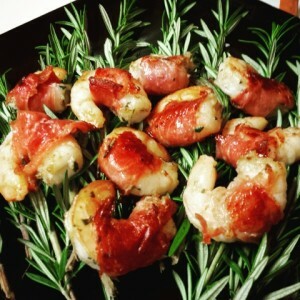 except for the super popular Prosciutto Wrapped Prawns which the client just had to have again! 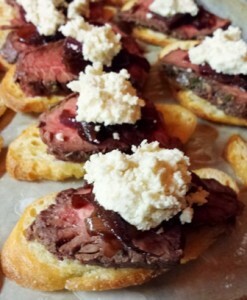 The holiday evening party started with our catering servers elegantly passing hors d’oeuvres including our Cascade Natural Beef Hanger Steak Crostini with Caramelized Red Onions and Blue Cheese Foam. Normally bored with the routine of out-of-season vegie trays, foodie guests are thrilled with the original chef-inspired holiday menu items with fresh, seasonal ingredients. 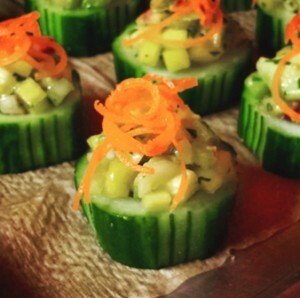 With a real chef at every catering event, we are able to virtually bring a restaurant to your home or business allowing us to cook food right before serving. The guests loved our Prosciutto wrapped Prawns cooked with fresh rosemary and Italian Sambucca so much last year, they just had to have it again at this year’s holiday party! 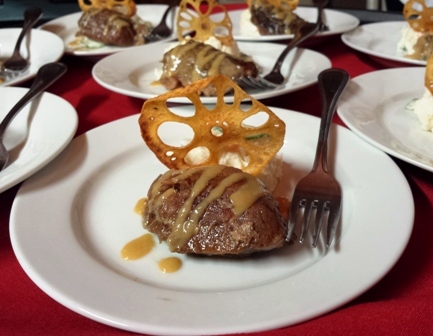 Pictured at the top of this post, the chef prepared small plate of Miso Braised Pork Cheek with Japanese Potato Salad and fried Lotus Root was definitely the fan favorite. 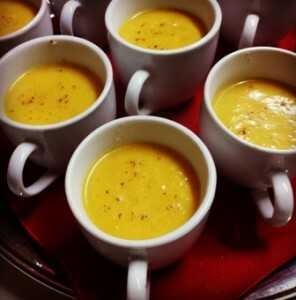 One of our favorite treats for winter events is hot soup served in small demitasse cups. Our from-scratch made soups are not the typical bagged-soup offerings found so often at chain restaurants. Fresh seasonal ingredients, innovative flavors, and exotic spices make Chef Tamara’s soups a special treat. 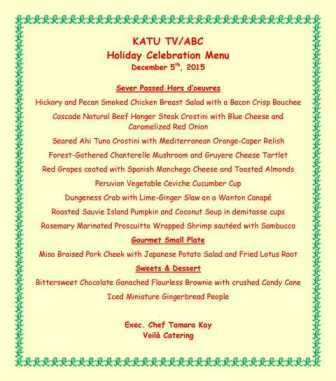 For KATU’s holiday party, Voila Catering year we offered our Roasted Sauvie Island Sugar Pumpkin and Coconut Soup with freshly grated nutmeg. Gluten-Free Bittersweet Chocolate Brownie Bite is always a holiday Party hit! 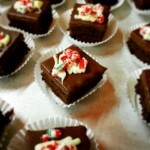 The team of Voila Catering, wrapped up the Portland holiday party with our sweet desserts including our gluten-free, flour-less Truffle Brownie Bite with Bittersweet Chocolate Ganache and Candy Cane crumbles as well as a traditional Gingerbread person! 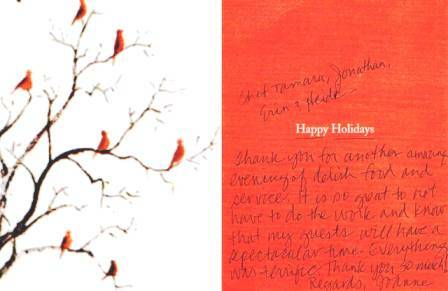 ‹ Bridal Veil Lakes Wedding planned from Australia!